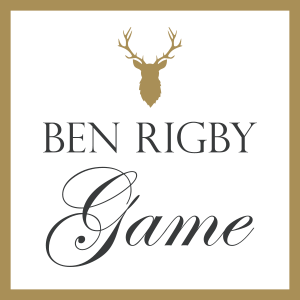 Ben Rigby Game supplies and delivers an extensive range of wild game, from pheasant and partridge to wild boar and rabbit. All our meat is 100% traceable and is processed at our state of the art facilities in Maldon, Essex. Pheasant, grouse, pigeon, English partridge, red leg partridge, mallard, wigeon, teal, woodcock, snipe, guinea fowl, game livers, quail and poussin. Wild boar saddle, striploin, haunch, shoulder, steaks, fillets, boneless trim and diced. Oven ready wild English rabbit, oven ready hare, hare saddle and legs.